What advice would the dead offer us today? And how would they speak to us? This new works-on-paper series explores a contemporary form of the ancient Oracle through messages from the famous dead, via their tombstones. 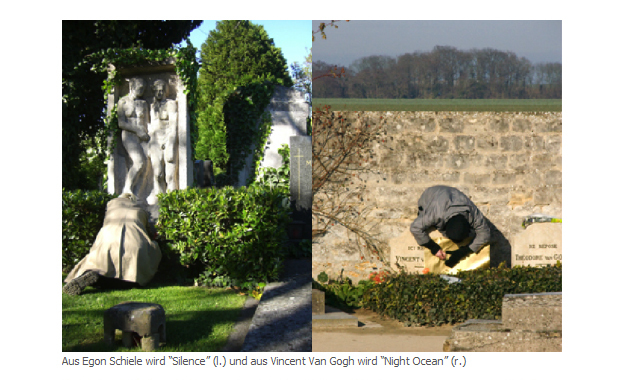 BORIS+NATASCHA facilitate this ‘message from the beyond’ by using only letters of the name on the tombstone of the famous dead. Mixing up the letters of the name to create new words, this message comes close to an anagram or Scrabble line. Boris & Natascha produce bizarre and quirky artwork that often deals in the sombre issue of death, although they always manage to turn it into something exciting and humorous. Their cheeky Grave Rubbery (frottage onto gold paper) is their unique way of receiving messages in the form of anagrams from the dead famous. They manage to pull these pranks by keeping their identity hidden. These secret troublemakers teamed up back in 2003 and have quietly exhibited all over the world. 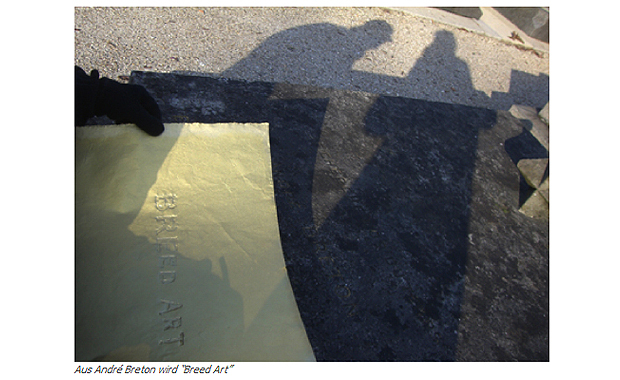 This June, they are exhibiting new works-on-paper at Basel focused around the so-called technique of Grave Rubbery, after which the exhibition is named. 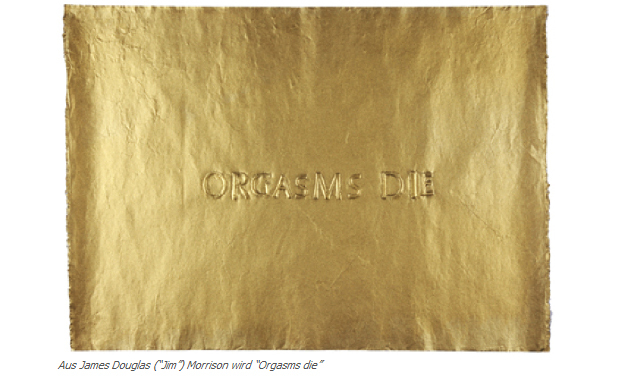 The 45 one-off pieces consist of gold-scribed letters etched from the tombstones of famous dead people.ART FROM BERLIN took place at Yasha Young Gallery – Strychnin, SCOPE Basel from June 15th to 19th 2010.